Source: Is Lithium Orotate Good or Bad for You? The health benefits of lithium orotate are causing an explosion in its popularity. I’ve been an advocate of lithium orotate for quite some time and have incorporated into some of my own formulations. A friend of mine, Dr. Mark Millar, is the leading authority on lithium orotate in the United States today. He published an eBook, Veteran Suicide Breakthrough: Revealing the Breakthrough Mineral for Suicide Prevention, PTSD and Depression ‘They Definitely’ Don’t Want You to Know About which is loaded with facts on lithium’s effects on the both body and brain. I’d really encourage you to check out his book, it’s powerful information you’re not going to hear from any mainstream source. I’d like to share a few of the shocking facts contained within the pages of Dr. Millar’s book but must reiterate that much of this is very controversial, disputed by the mainstream medical establishment, and should not be interpreted as claims, promises, or fodder to diagnose yourself. I am sharing this for informational purposes only! Lithium orotate is intended as a nutrient to supplement the diet. Its effects are nutritional. The statements in this article have not been evaluated by the Food and Drug Administration and this nutrient is not intended to diagnose, treat, cure or prevent any disease. In animal studies, lithium has been shown to be an essential trace mineral. When lithium is removed from the diet of farm animals, they appear to develop numerous chronic, degenerative diseases. These include atrophy of the spleen, development of cysts and tumors, severely depressed immune systems, and decreased fertility. Additionally, the quantity of breast milk is diminished in nursing mothers with inadequate lithium stores. Lithium orotate “…does not require blood tests to establish a therapeutic level as prescription forms do, nor is it toxic to the kidneys like lithium pharmaceuticals.” In addition, “…Prescription lithium is poorly absorbed by cells, the main site where it performs its functions.” -Ward Dean, M.D. 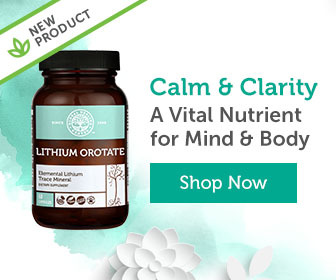 “Lithium itself is not a drug; it’s a naturally occurring mineral salt like potassium, and is something you need for proper mental and physical health… Lithium orotate may be a safe and simple way to help beat the blues.” -Al Sears, M.D. “Prescription lithium is poorly absorbed by the cells, where it needs to be to do its job… Because it is so poorly absorbed, blood levels need to be fairly high to “drive” it into the cells. 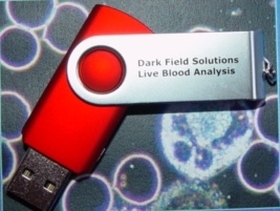 Unfortunately, these “therapeutic” blood levels are dangerously close to the toxic level. That’s why patients on prescription lithium need to be carefully monitored… Successful serving with lithium orotate is measured by clinical effects on the patient, rather than by blood levels.” -Ward Dean, M.D. “Lithium Orotate will not cause weight gain, nor will it cause sedation or sleepiness.” -Ward Dean, M.D. Available without a prescription, lithium orotate has been marketed as an alternative to the prescription known as lithium carbonate. In lithium orotate, lithium is joined with an orotate ion, rather than to a carbonate ion. “In small servings (15 mg/day), lithium orotate has been shown to protect the central nervous system.” -Dietrich K. Klinghardt, M.D, Ph.D.
Lithium augmentation appears to be a promising therapy for geriatric depressed patients who are unresponsive to, or cannot tolerate, other standard therapies. In a placebo-controlled human study, lithium reduced histamine and bronchial reactivity in airway smooth muscle, improving symptom scores and significantly reducing the need of inhalers. Lithium also significantly reduced the contractile effect of histamine on the tissues of the lung and trachea in guinea pigs. Lithium may prevent calcification of blood vessels in humans. Animals rendered lithium deficient in lab testing developed calcification of blood vessels, increasing the risk for heart disease. A comprehensive review of contemporary research conducted in 2010 and published in the Harvard Review of Psychiatry, determined that lithium is still the gold standard for the treatment of bipolar disorder. Multiple studies have suggested lithium’s possible role in preventing and alleviating migraines. In a study involving cyclical migraines, nineteen out of 22 patients (85%) responded to treatment and showed significant improvement in the frequency and severity of migraine headaches. 25% of the patients had complete remission of their migraine headaches and the remaining had a 50-75% reduction. In cluster headaches (the most severe type of headache), lithium is mentioned repeatedly in the research to be effective as a preventative measure. Lithium also provides robust protection from heavy metal toxicity. Lithium has been shown to protect cells from aluminum, arsenic, cadmium, lead, and mercury toxicity. Animal studies has positioned lithium as having a protective effect against toxic metals. Studies of lithium’s effect upon hyperthyroid conditions consistently demonstrate major regulation of thyroid hormones triiodothyronine (T3) and thyroxine (T4). The most common cause of hyperthyroid hormones is Grave’s disease. In a study of lithium’s effect upon Grave’s disease, it was determined that lithium reduced T3 by 42% and T4 by 28%. These amazing changes occurred in just 7 days.